If your Las Vegas/Clark County, NV business acts as a daycare provider, you are well aware that parents trust you to care and protect for their most valuable assets–their children. Also, as the saying goes, where young children go, accidents are sure to follow, so it’s very important to choose the proper Child Care Liability Insurance program for your center. Some of the potential claims could include: accidental events where a child suffers bodily injury while on your playground equipment; the parent of a child enrolled in your program makes a false charge of molestation or abuse against you or one of your employees; you or one of your employees/volunteers trips and spills something hot onto a child; or an emotional distress to the parent of a child enrolled in your program is caused when you or your employee did not obtain a signed permission slip to take them on a field trip. 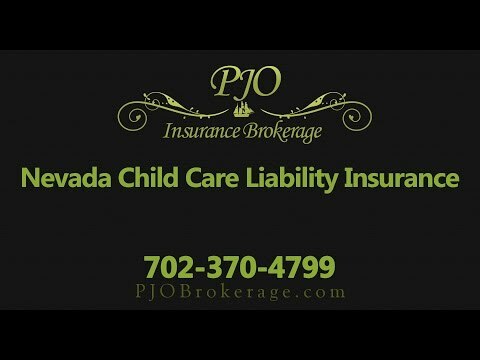 These are just a few of the many reasons Las Vegas, Nevada Child Care Liability Insurance Coverage is so important for the success of your operation. NV Professional liability automatically provided at the general liability limit for no additional charge. Child molestation and abuse limits available up to $100,000 per occurrence/$300,000 aggregate – definition includes corporal punishment. Higher limits are available if needed. Child molestation and abuse coverage applies off premises. Defense cost reimbursement can be purchased for alleged acts of child molestation or abuse against the facility owner and employees. Medical payments coverage automatically provided for no additional charge that includes coverage for enrolled students. Hired and non-owned auto liability coverage available for additional increase in premium. Expanded definition of bodily injury to include sickness or disease caused by mental anguish or emotional distress. Whether your child care operation is a single operation or has multiple locations, we can help you find the appropriate insurance coverage to ensure your company is covered properly. Professional liability automatically provided at the general liability limit for no additional charge. Employees including Directors and Assistant Directors are included as Insureds under Child Molestation and Abuse Coverage. Defense Cost reimbursement available for false allegations of Child Molestation or Abuse against the facility owner operators and employees. Hired and non-owned auto liability coverage available. At PJO Insurance Brokerage, we understand that no two child care companies are the same; that’s why our experienced and professional brokers take the time necessary to fully understand your company’s operations and present the proper insurance program to suit your company’s needs. We welcome the opportunity to review your current insurance or work up a new program for your business. We look forward to hearing from you.